Automakers give out free cars to magazines and some websites for as long as a year. They call them long-term testers. Automobile has a free Audi A7. Well, I should actually say "had." It was just stolen. 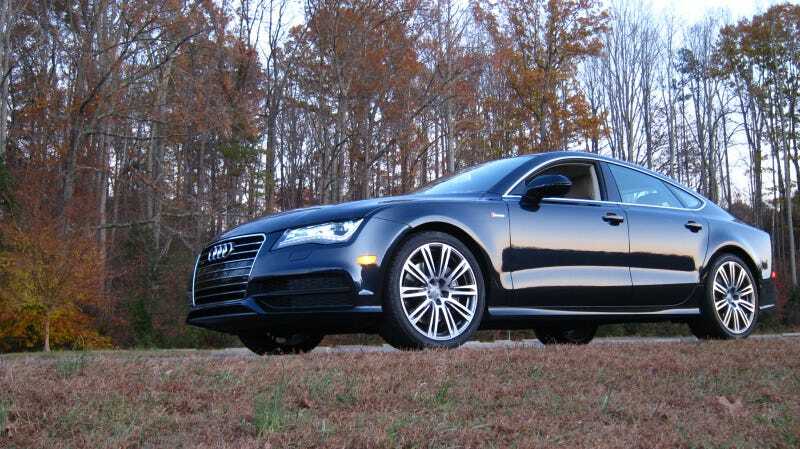 The A7 test car was recently stolen in Rockland County, New York. In a post on Automobile's website, it sounds like the search for the car is over before it started. Whether you are the person who stole our Four Seasons Audi from a quiet neighborhood in New York's Rockland County, or whether you later purchased it with a stack of cash too large for one briefcase, you should know that the staff of Automobile Magazine mourns the loss of our oolong gray luxury car. We've resigned ourselves to the fact that we'll never see it again, but that doesn't make its premature exit from our fleet any easier. It's an inside job. An editor didn't want the A7 to go back to Audi and kept it for themselves. Audi stole it back since Automobile spilled coffee on the carpets. Automobile never actually had an A7, they just thought they did, and it was an elaborate hoax to win a Pulitzer. It isn't stolen at all and Automobile is milking the publicity teat. It'll be found next week at a competing magazine. Plus, if a car was free to begin with, can it really be considered stolen?